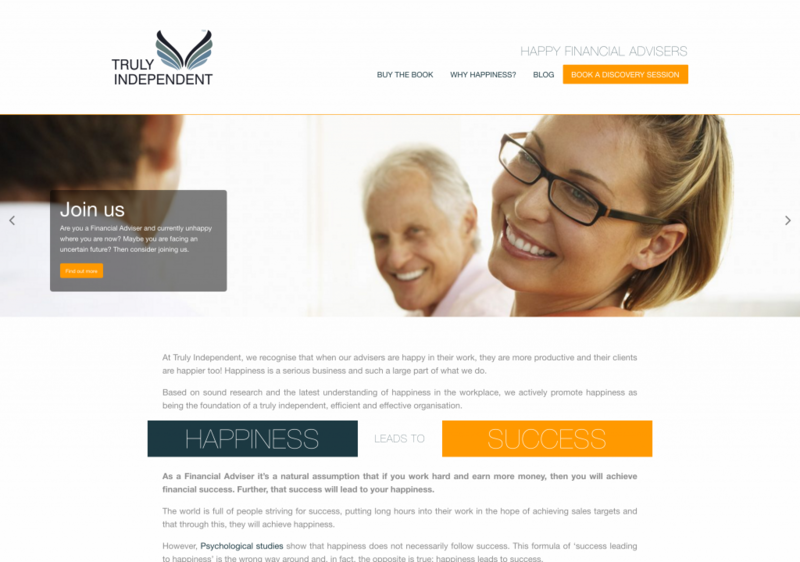 Who are Truly Independent Financial Advisers? Truly Independent Financial Advisers are a national company with their head office based here in Carlisle. They have IFAs dotted around the UK and offer independent financial advice on things like mortgages, pensions, and investments. They’ve gone from strength to strength and are now looking to increase the number of IFAs under their name. This is a slightly different project to your normal website as it is aimed directly at the certified IFAs here in the UK, which amounts to a total of around 20,000 people. The project is ongoing, but our aim is to use content marketing and automated marketing to turn website visitors into leads. Once the IFA is on the system, they get a series of emails to encourage them to book a discovery session. The website isn’t aimed at the general public so the challenge has been keeping the content and design different to the consumer facing website. The integrations with the third party website have been a great addition to the automated marketing, as it means that there is a lot less admin in the long term for their team to do. The second part of this project was to create an application form for once the IFA had decided they wanted to become part of the Truly team, this is a 10 part legal form with hundreds of questions and requirements. The challenge with this part was to make the form as fluid and intuitive as possible whilst making the admin side of things as straightforward as possible for the Truly team. Once again this was all built in WordPress, which allows all the content to be changed by the Truly staff, as and when they need to.